Home Fashion 27 Designer Blouse Patterns That Will Look Amazing on You! There are few things that can your make your blouse into something. 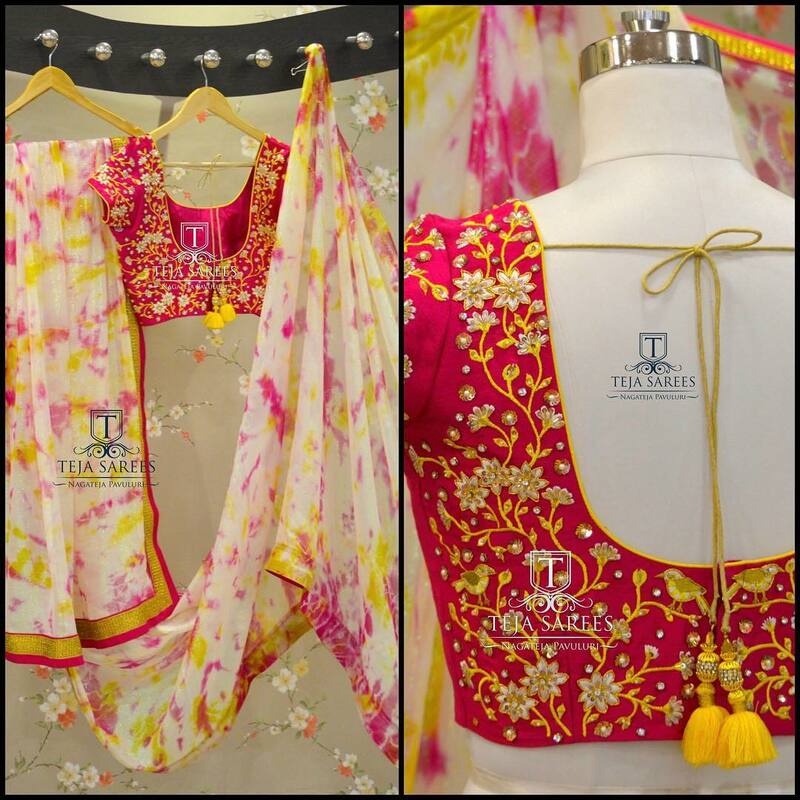 Of course the neck and sleeve designs still reign as strongest element for a stand out blouse design. And then the exotic cuts and back opens that adds hell of a glamour to an otherwise simple blouse. 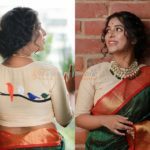 However, what many forget to experiment on their blouses is the creative blouse patterns that can easily overshadow every other thing. Have you ever wondered, how your BF’s stylish blouse is so filled with tiny little beads and thread work that are so hard to ignore? 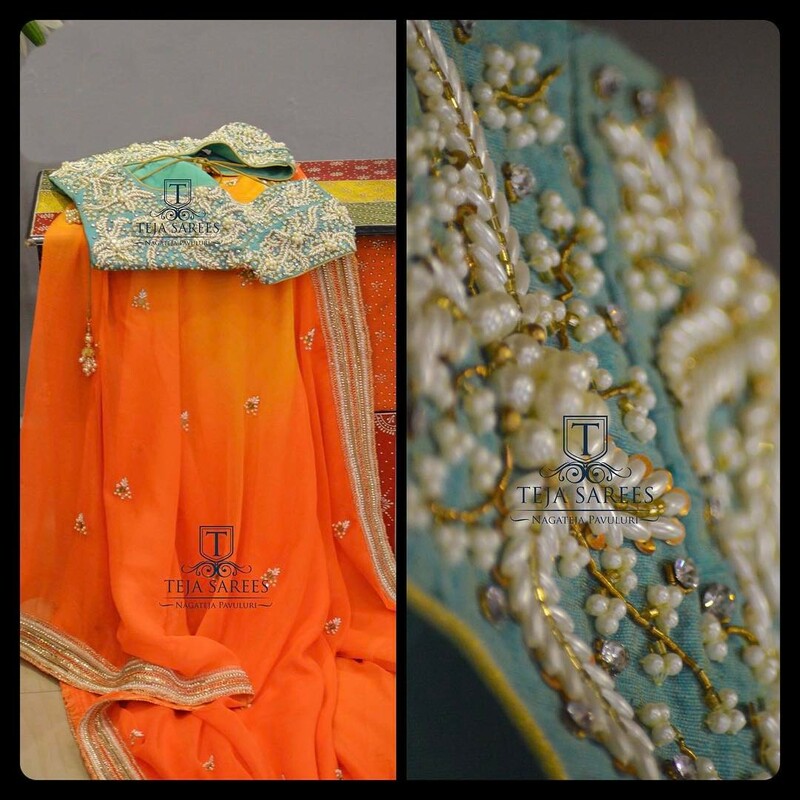 Often the beauty of blouse relies strongly on the myriad of beautiful beads and stones that are used to embellish them. This is what we call as blouse patterns. 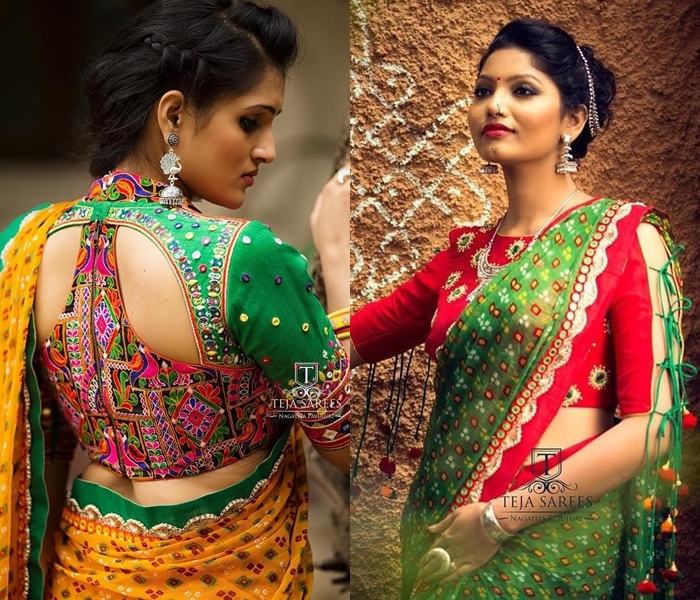 If you want such eye catching blouse collections for your wardrobe, then you do need to take a special care on what little details to add that would bring out the true charm and elegance of your blouse. So to find out the interesting blouse patterns to share with you ladies, we began our search. Mind you, we didn’t even pull out many designer labels/brands to expand our search. 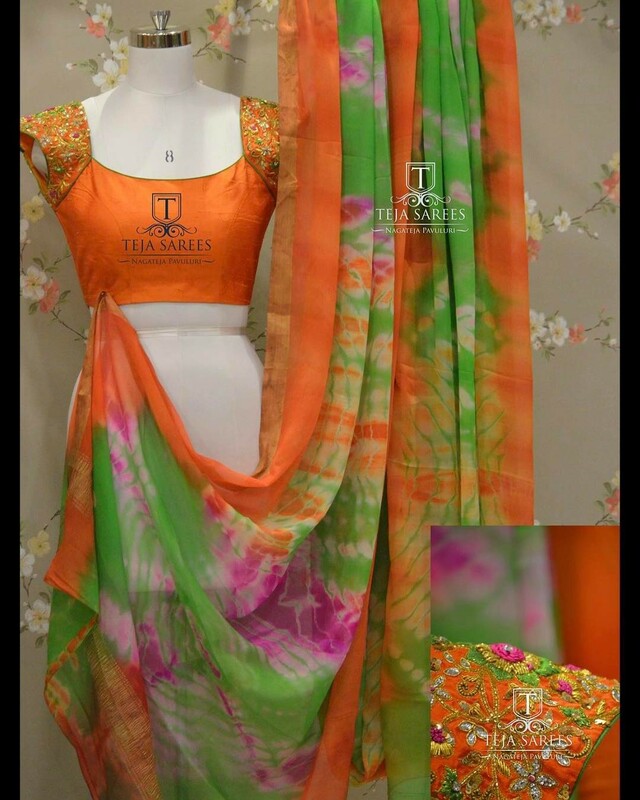 Our first look on the designer label Teja Sarees itself provided us year long blouse inspirations and we are glad that we did seek this brand first over others. 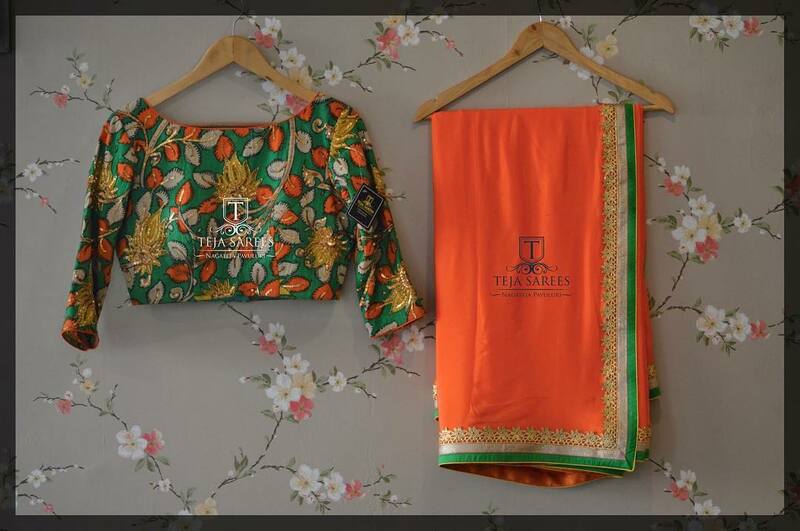 Now let’s take a look on some irresistible patterns from this designer store! Be sure to take a note from the huge blouse catalogue below. 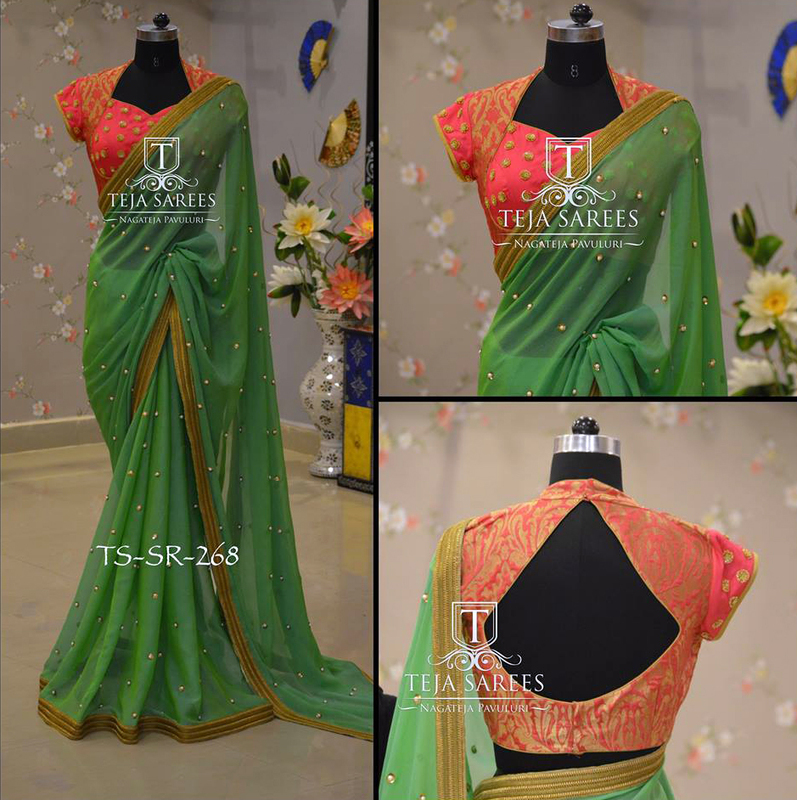 We love how the tiny pearls and sequin floral details over the shoulder and short arms gives such a sophisticated blouse style for this simple plain saree. 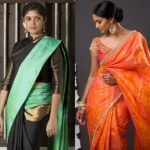 If you have been thinking that artistic Kalamkari work is so hard to incorporate on a party wear, then you might need to rethink. 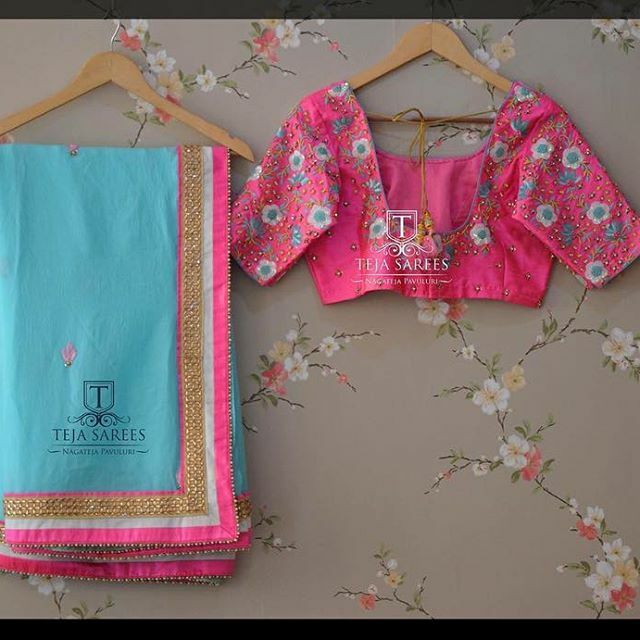 Here is a classic Kalamkari blouse filled with fine thread work on sleeves and on neck collars to impart a royal look. Often many underestimate the power of a white blouse. 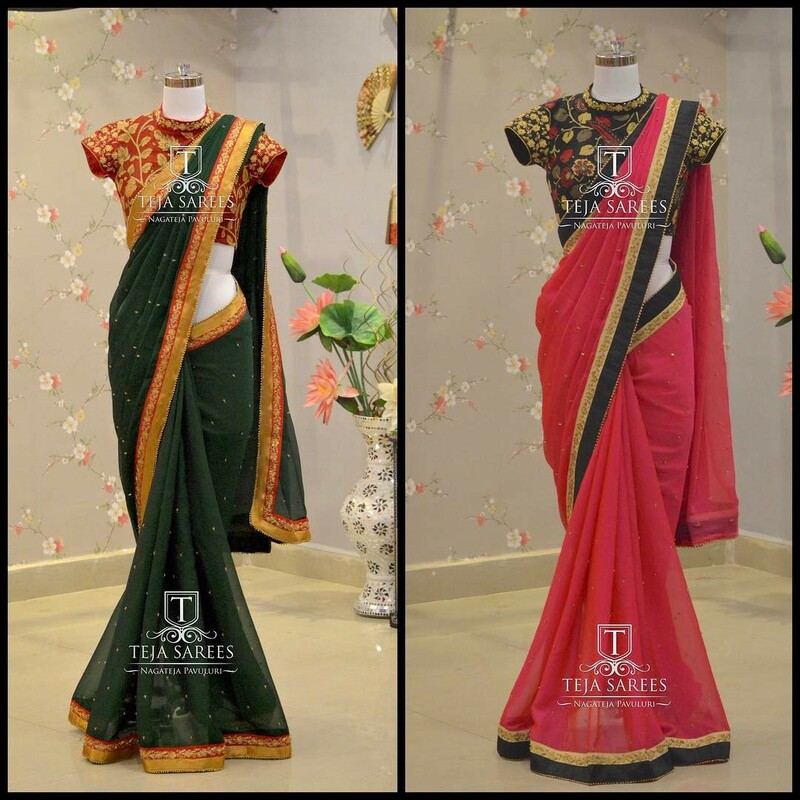 It can easily be teamed up with any of your designer sarees with right amount of colorful work as below. 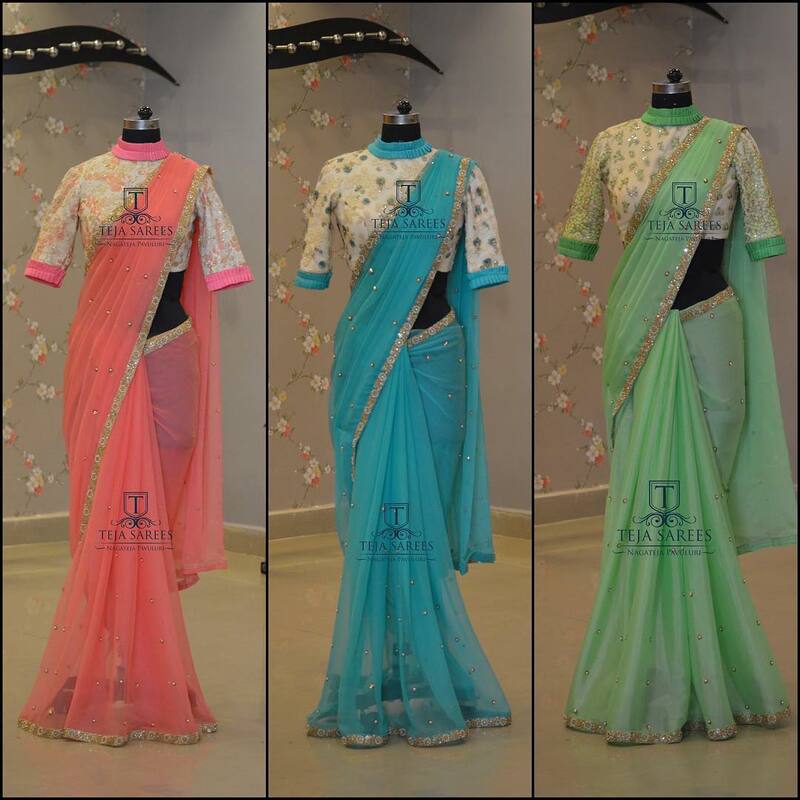 Make sure your saree hue matches with the blouse details for an arresting style. 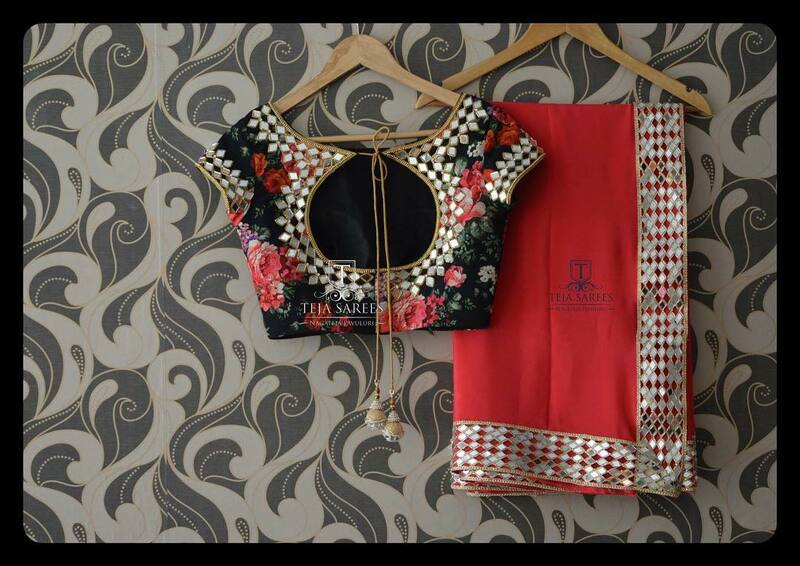 Want to instantly convert your plain sarees into pretty party wear, get your blouse dipped on a delightful mixture of pearls, stones and gold beads. And you will end up in an enviable blouse pattern like below. 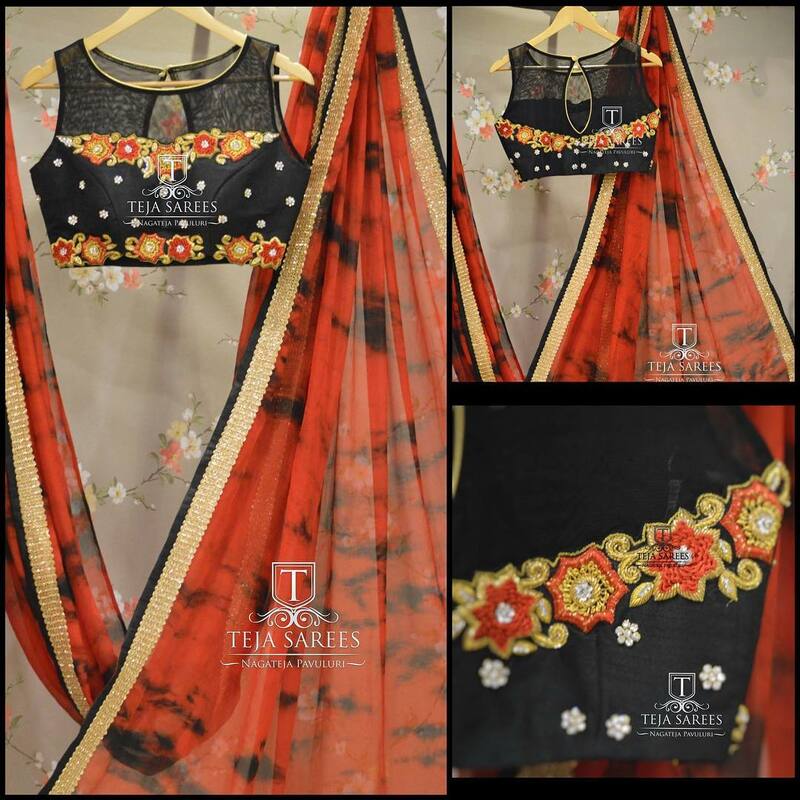 While creative embroidery on the blouse back neck will make your blouse so trendy, having them embellished with tiny kundan stones will give a fabulous finish to your blouse! 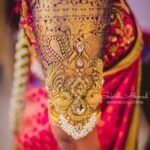 If you like to draw attention to the details on your blouse and make it impressive, then have a plain blouse bodice and get the details done on sleeves alone like below. 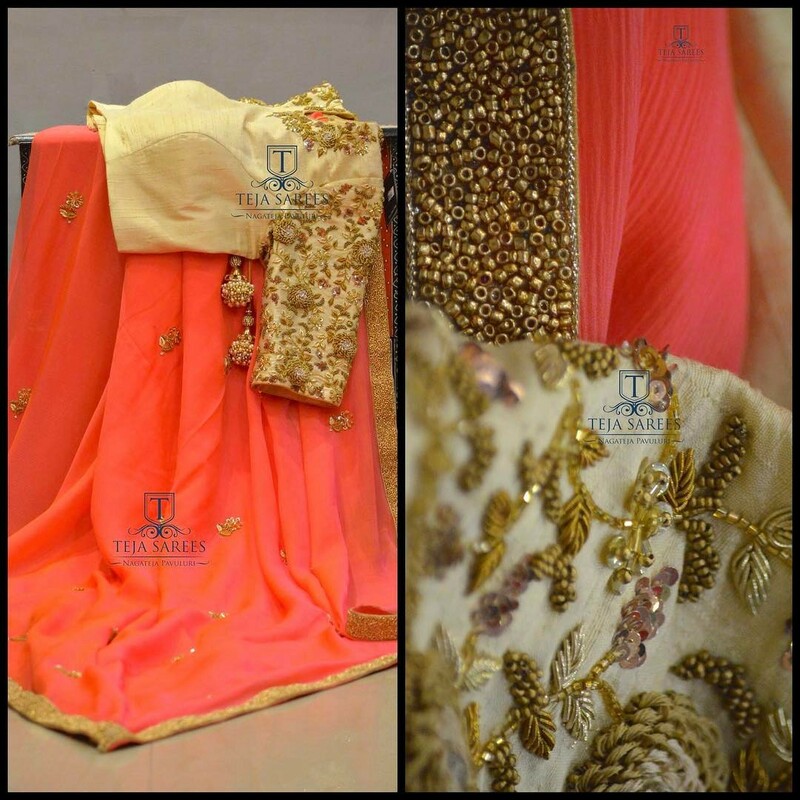 It might look totally understated, but when you wear it, it is such a beauty! A thick layer of creative detail around the neck, sleeve and back will highlight your blouse in irresistible ways. To make it look even more stylish, try boat neck or a high neck that calls for more attention. 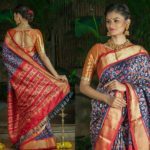 Here is another great blouse model for Kalamkari lovers. 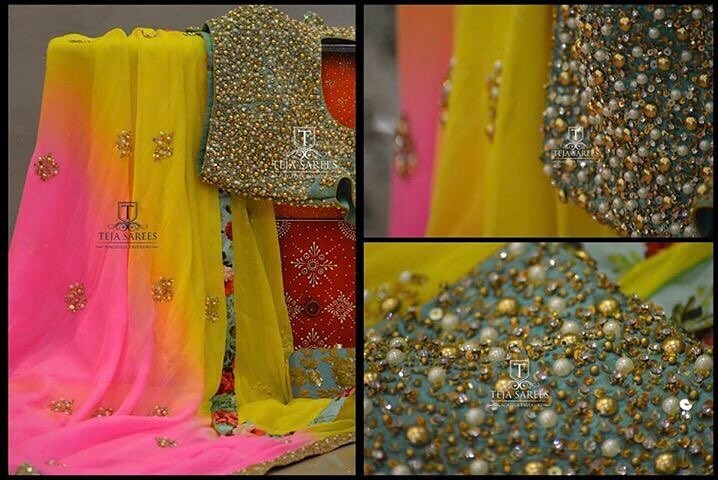 Up the style quotient of this aesthetic blouse with a lavish zari thread work like below! 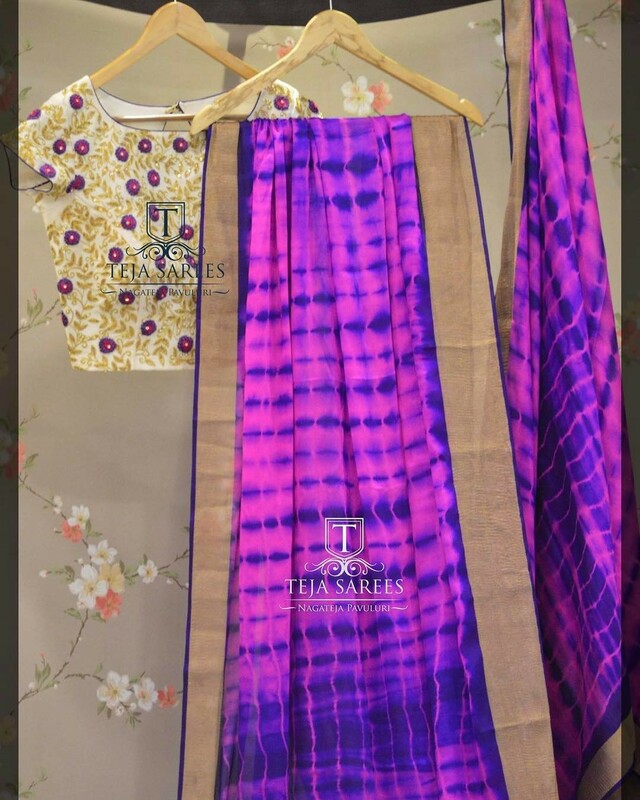 This may not one only spice up your party wears, even a simple cotton saree can be utterly modish with a blouse pattern like this one. This floral blouse is a proof that even the little details like stone and beads here can add a dose of elegance to your blouse. 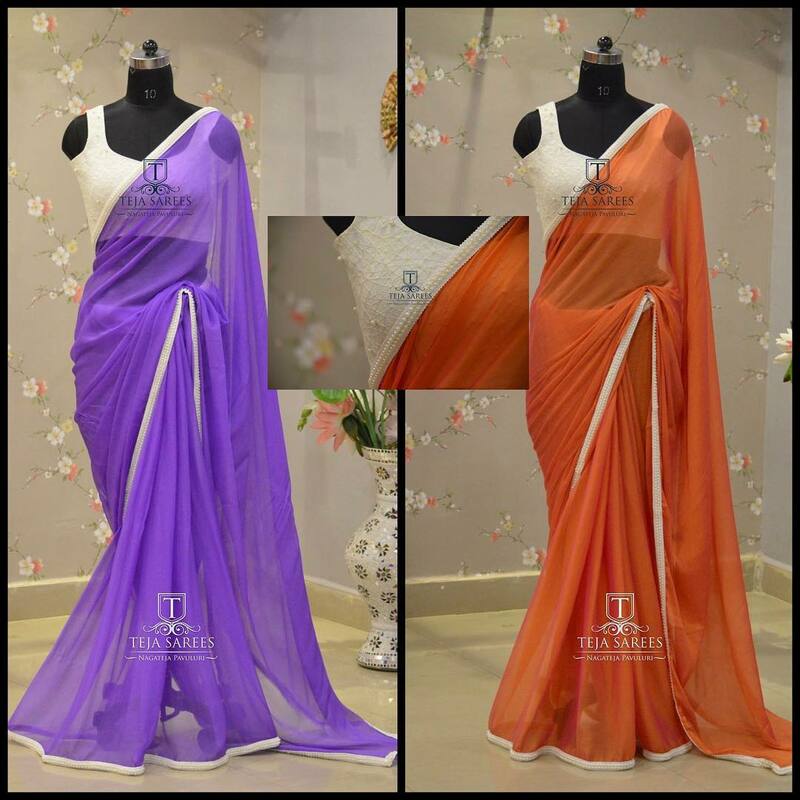 This can add new dimension to your silk sarees as well. 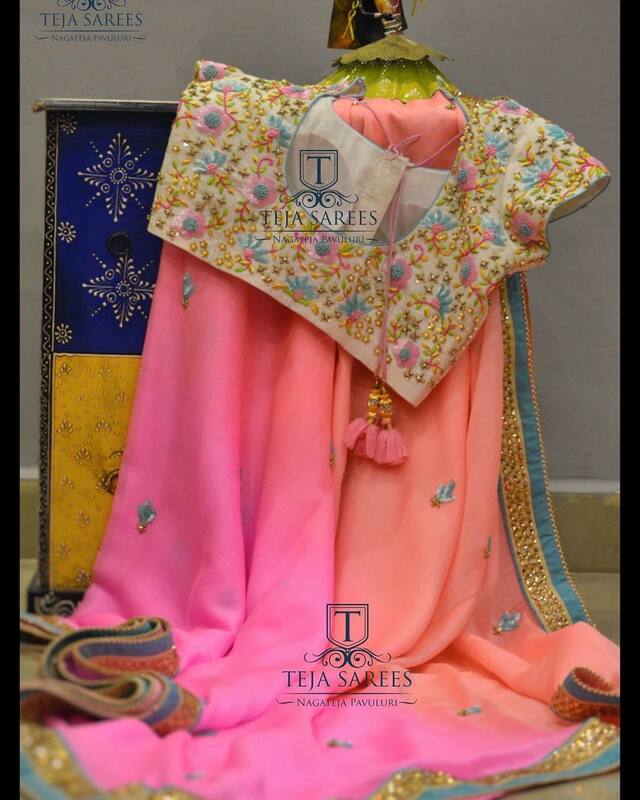 So go beyond designer drape and try this with silk number too. If you are wary of full work blouse, then this neat style would get you interested. This blouse had us with those gorgeous two rows of bold floral details filled with stone flowers. A full blown mirror work sleeves, followed by scattered mirror details on the bodice gives such a youthful finish to this blouse. Want to look young? Try this. This is the most innovative way to define your neck and sleeve style on a blouse. Even if you stand miles apart in the crowd, you will still be an eye-turner with a blouse choice like this one. To glam up your back opens, try mirror work patterns and up the style with chic tie backs as below. To be more creative, instead of plain fabrics, try printed materials with apt neck design to nail this blouse style. Those who have short shoulders should consider this as blessing. This blouse will totally compliment your body structure. 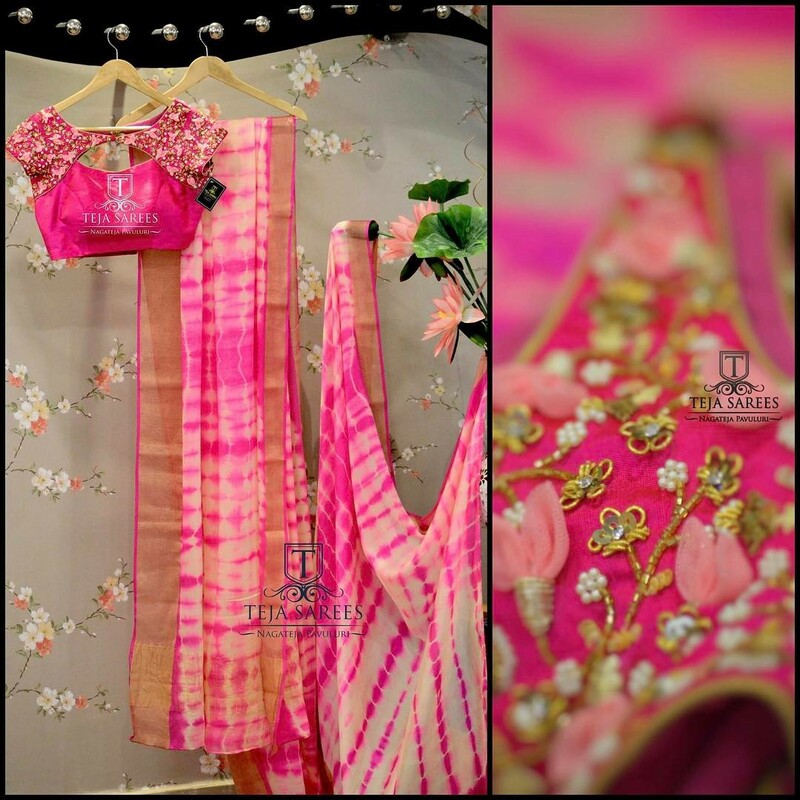 When deep neck meets with dense thread work, you will end up in a mind-blowing blouse style like this. We will officially say that this is the best blouse pattern form this list. Can anyone dare to deny this? Make your friends envy your blouse with this voguish white blouse that has a right dose of pearl embellishments. If you are the bride, then your dream blouse should be like this. 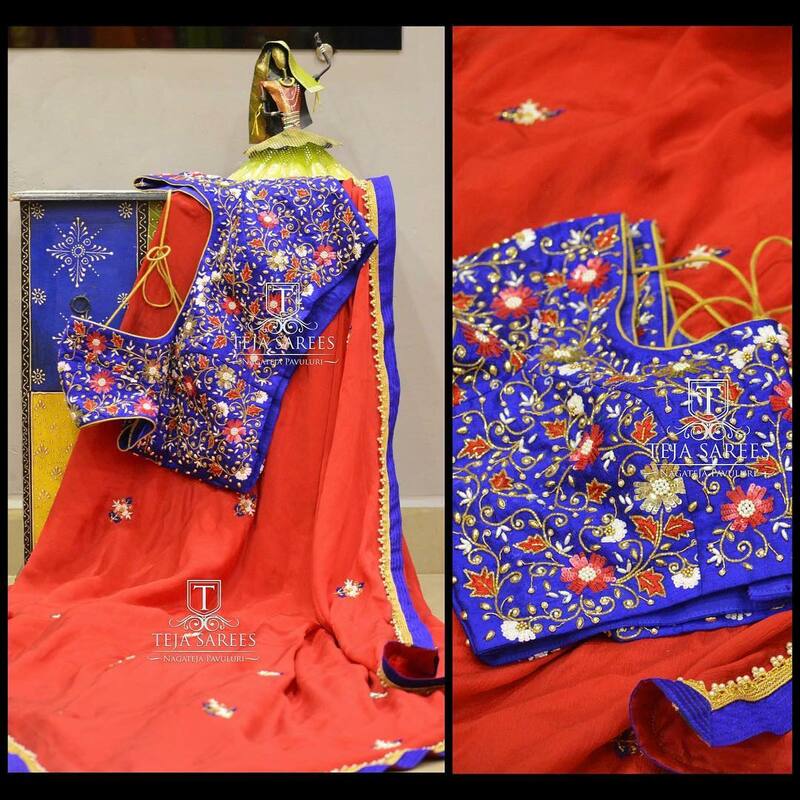 Beyond beads and threads, if you have been looking for other embellishments to flaunt with your blouse, then don’t forget the cute tassels. 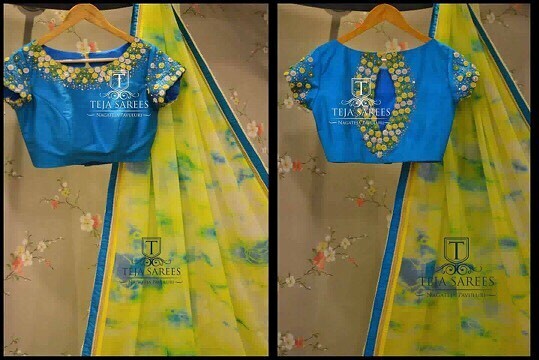 Present your plain/lace/tissue sarees with a designer blouse filled with net flowers like below! You will be lauded for your choice. 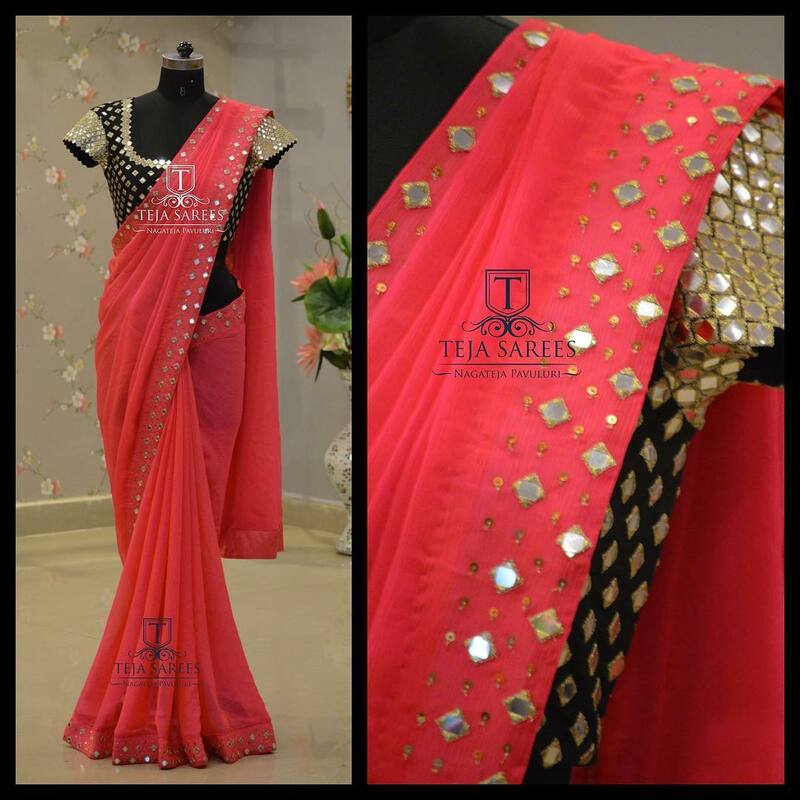 Give your sarees a modern look by having comprehensive pearl work like this one. 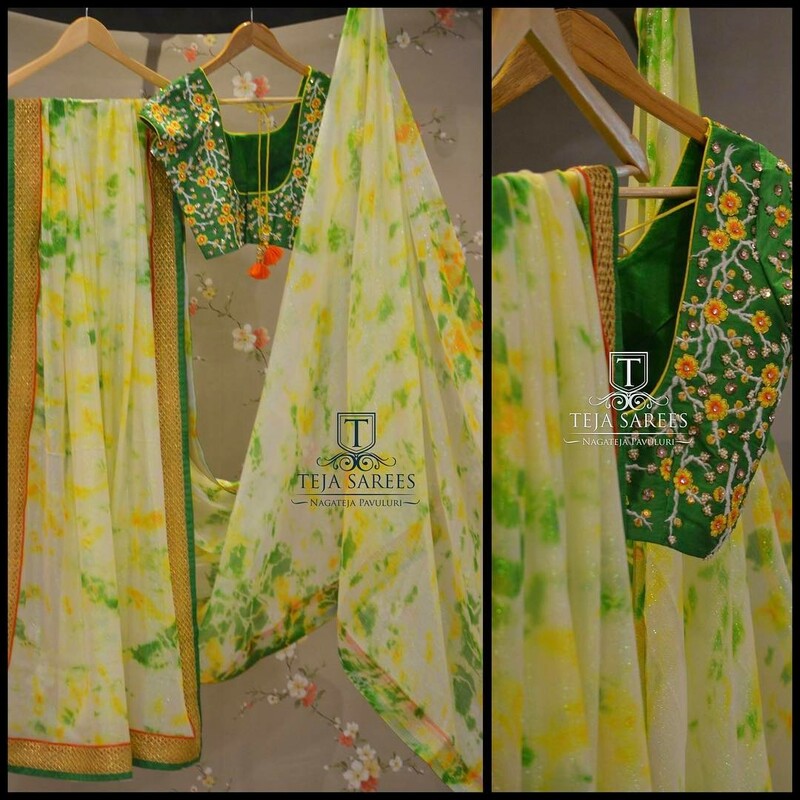 Having a long sleeve with highlighting thread work as below will get you lots of compliments. 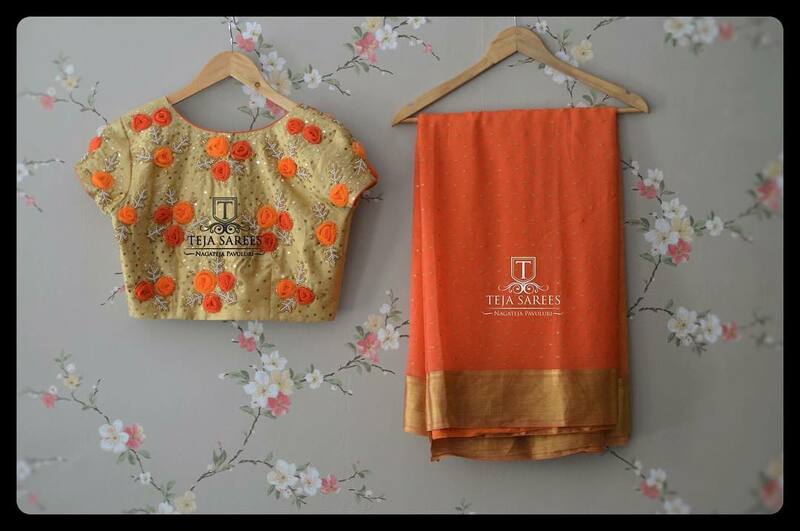 A gold blouse with monumental details like this can be paired with any saree from your wardrobe. Literally! 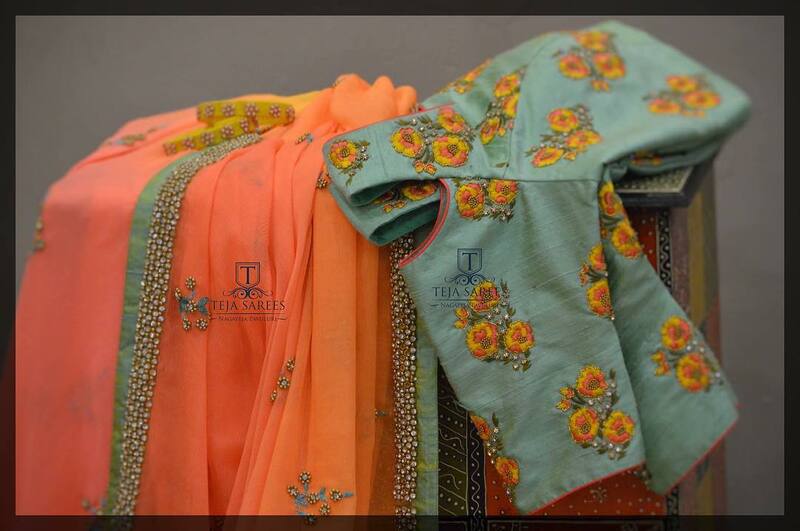 Let’s thank Teja Sarees for giving us all year long blouse inspirations. Hope you had an idea on how little details can make your blouse remarkable. 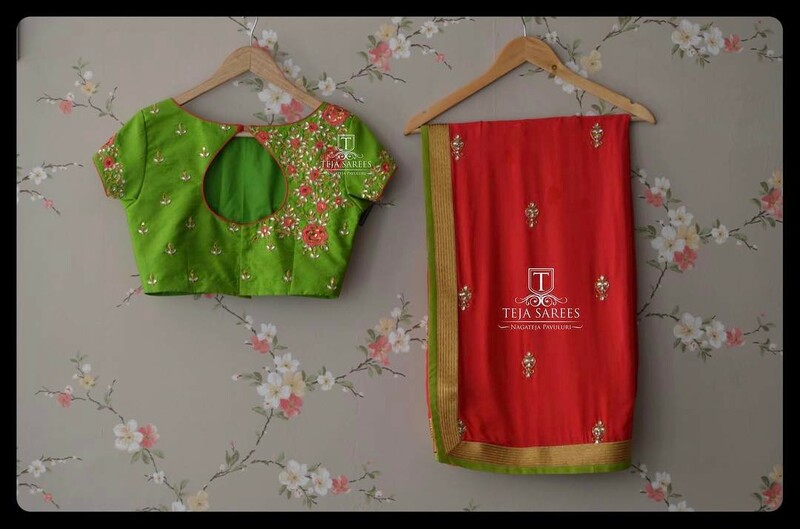 Do try these impressive designer blouse patterns this festive period and let us know how it turned out. 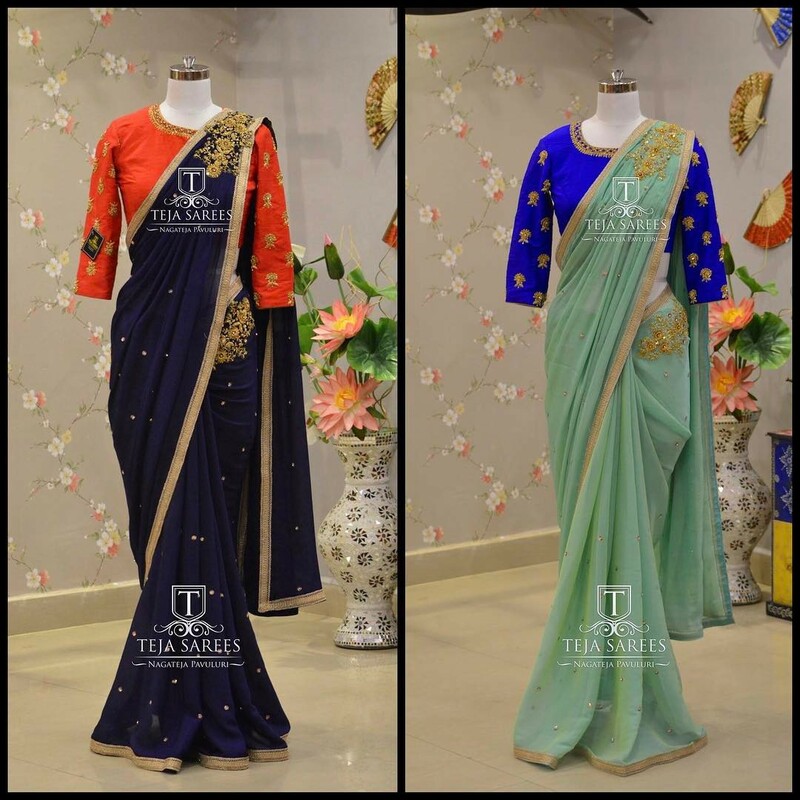 In case, if you like to see the rest of the blouse catalogue from Teja sarees and shop the same sarees and blouses check here.